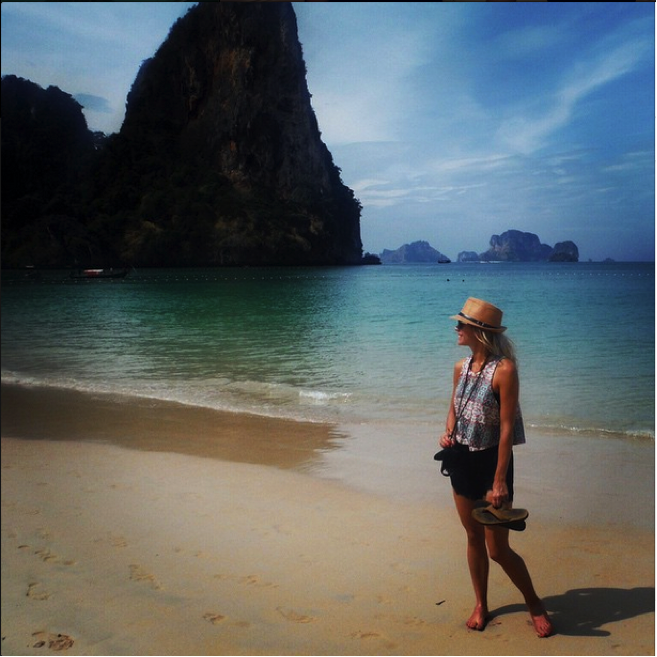 Ever dreamt of a tropical holiday in exotic Thailand? 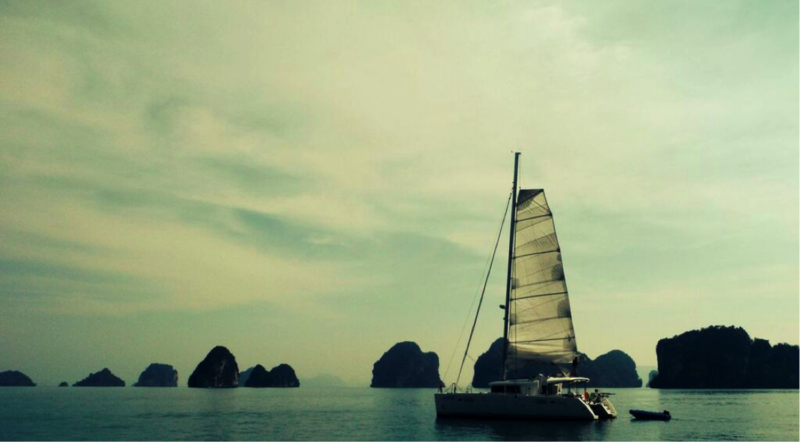 Cruising on longtail boats, snorkelling with nemo, sipping on cocktails by the pool as the sun sets? Yep, me too! 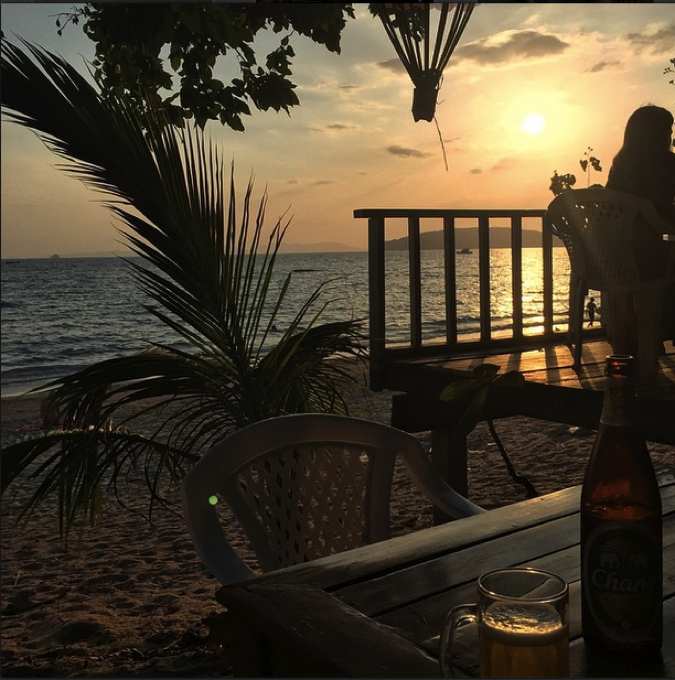 My name’s Shaelee, I’m an American studying in Sydney and a couple of months ago, my boyfriend and I were lucky enough to win a trip for two to Thailand, compliments of AdventureHoney and Scoot Airlines! Here are just a few of our favourite snapshots from an incredible adventure. Our journey started with a super quick and cheerful check-in process with Scoot, definitely the best budget airline I’ve flown with. The flight from Sydney gave us a 24 hour layover in Singapore, so that’s where our adventure began. 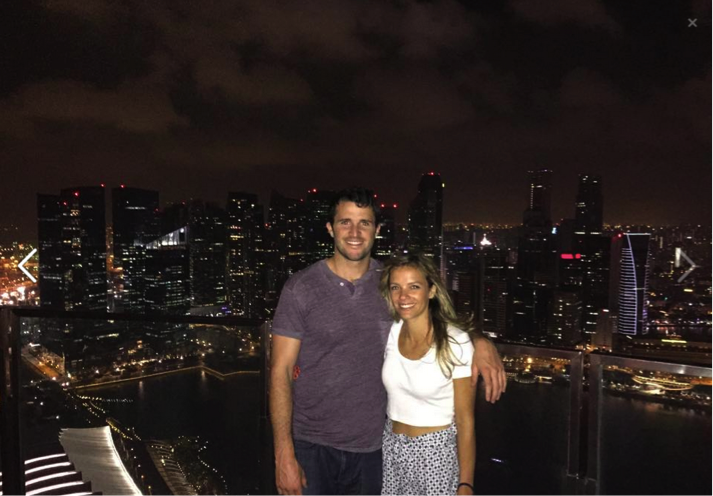 We were determined to see as much of Singapore as we could, and it actually ended up being a highlight of the trip. Soon after arriving it was clear we were in a unique place with Singapore’s perfectly groomed flowers and large trees that led us down the East Coast Parkway. Lee Kuan Yew (the country’s first Prime Minister) had just passed and the city was getting ready for a weekend of honouring their great leader. It was amazing to feel a sense of stillness in the heart of a metropolis. It’s impossible to ignore the prominence of Marina Bay Sands Casino, so we decided to make this our first stop in Singapore. Surprisingly, there was no charge to make it up to the Sky Bar, but you can bet on paying a pretty penny for a drink. After a couple of swanky cocktails we asked the bartender where he would be if he wasn’t working, and with his recommendation we were off to the Club Street scene. After Club Street our other memorable stops were Little India (for an amazing authentic Indian meal), Clarke Quay (despite the $20 Heineken), Raffles Hotel and The Fullerton. We we’re excited to see what Thailand had in store, but we both agreed that we’ll be back for more Singapore someday. We stopped in Bangkok only long enough to enjoy a Thai feast on Khao San Road and a foot reflexology, where Kevin and I both decided would be a good place for a nap. It was glorious. 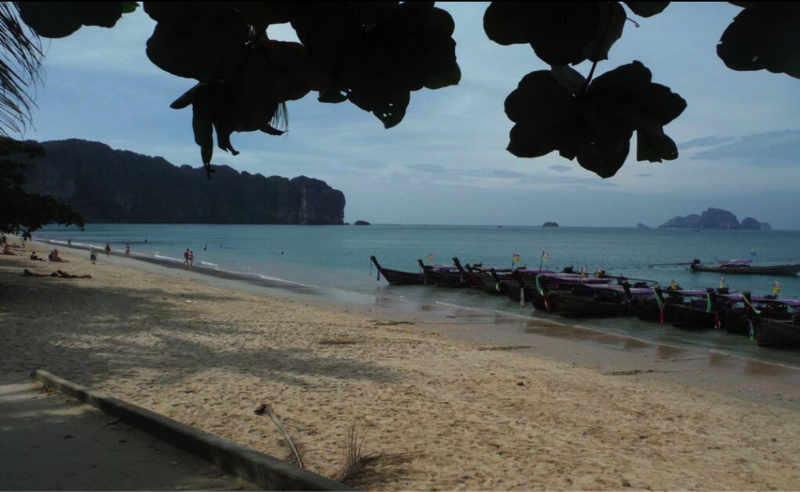 Krabi town was our final destination and Ao Nang Beach is where we settled in for the next seven days. Despite the many resorts along the beach, Ao Nang has an incredibly chilled vibe and is a perfect location to hop around to the different islands and Railay Beach (just beyond the cliff in the shot below). First sunset on Ao Nang beach. We learned later that tallboy koozies (for our American friends) or stubbie holders (for our Aussie friends) are a game changer! 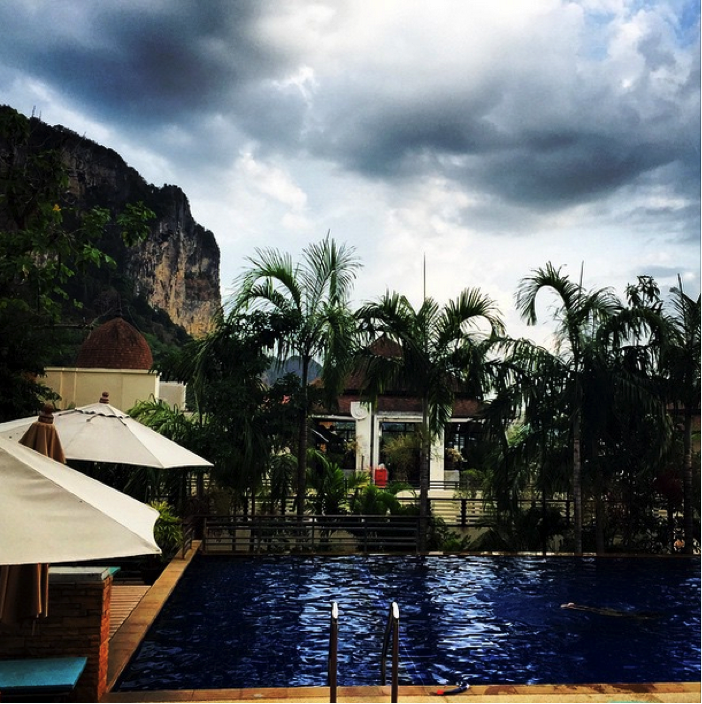 We stayed at Ao Nang Cliff Beach Resort, which was great. Highly recommend it if you’re staying put for a week or so. My favourite thing was breakfast on the rooftop where you can take in the sunrise every morning. Railay was our favourite beach from the trip and since it’s only a ten-minute longtail boat ride from Ao Nang, we were able to visit multiple times. 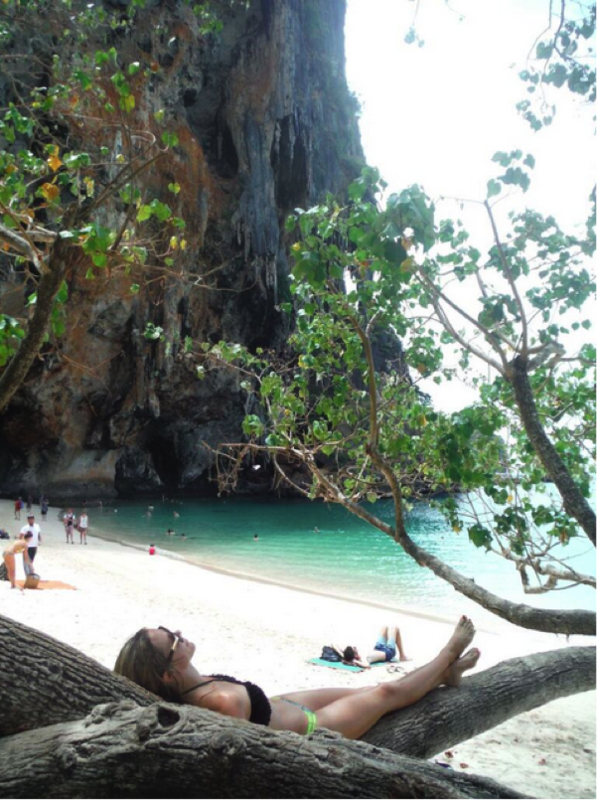 Railay Beach is a small peninsula between Krabi town and Ao Nang and is surrounded by cliffs. The only way to reach Railay is by boat. 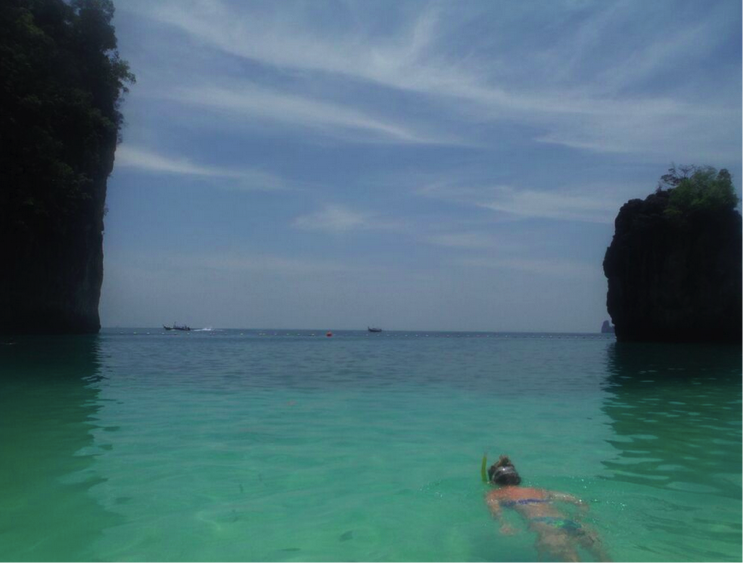 There’s a ton of cool things to do in Railay. From the West side we walked through to snorkel in the Phra Nang Cave. We were warned about the monkeys before we started to make the trek, but I didn’t realize the terror we would face. You really have to be careful. 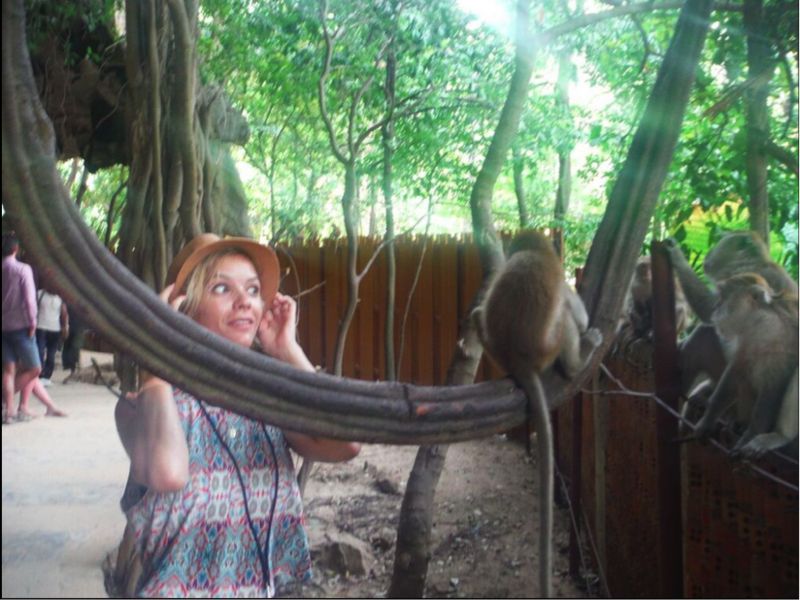 The monkeys love fedoras. 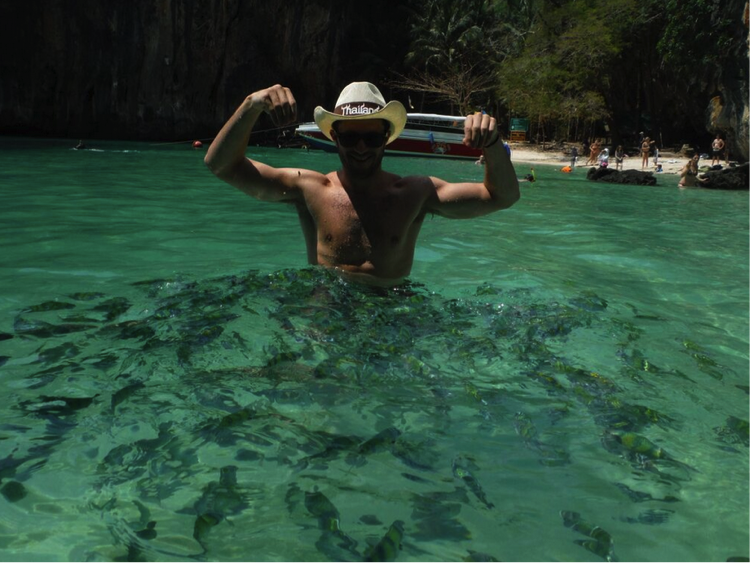 One of the best things we did was a private Krabi long tail boat tour, which was an awesome day tour from Ao Nang for (lunch and snacks included). We hopped around to Pakbia Island, Lading Island, Daeng Island and Hong. 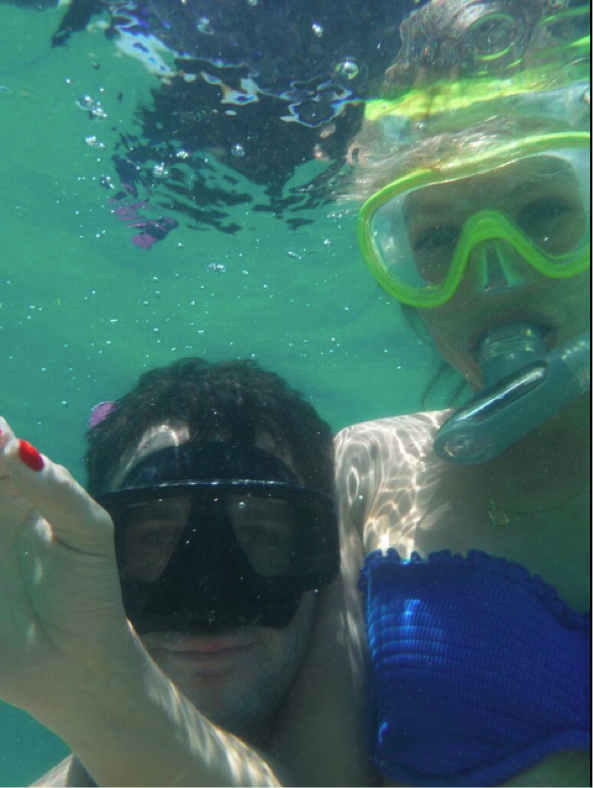 We had enough time to relax, kayak and snorkel on each island. Hong means “room” in Thai and it’s given this name because of the lagoon fixed in the middle of the island. If you get a chance to take a private longtail boat to Hong Island, you’ll be able to stay in the lagoon long enough to get out and snorkel. 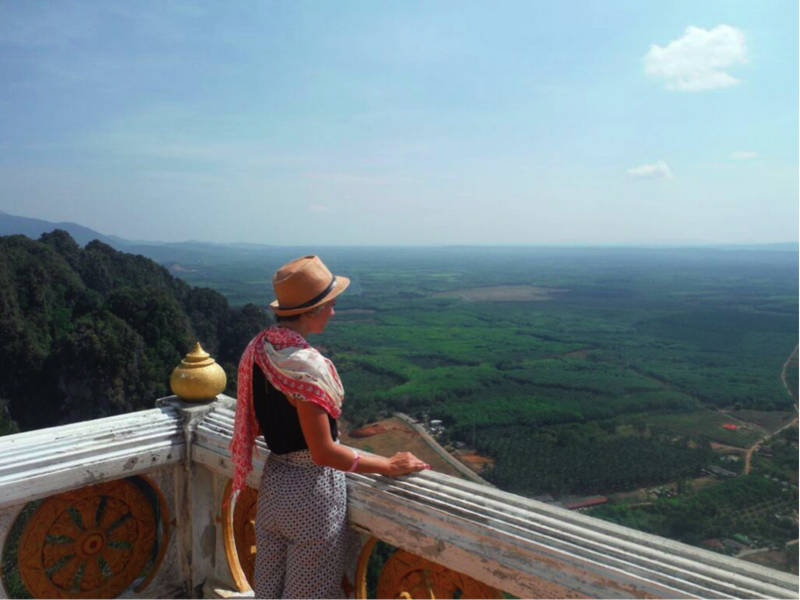 We may have picked the hottest day of the week to walk up the 1,267 steps to Tiger Cave Temple, but the view at the top is well worth the hike. 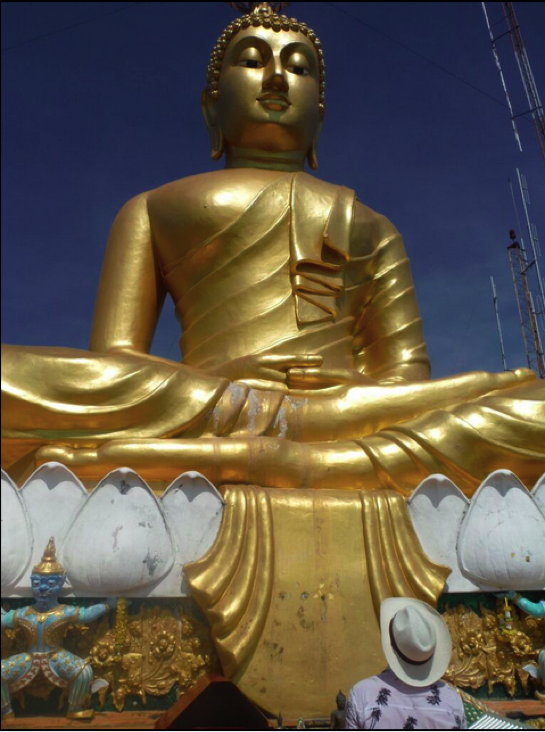 The temple got its name because of the tigers that would roam the grounds of Wat Tham Suea. It was sad how quickly our week was coming to a close. 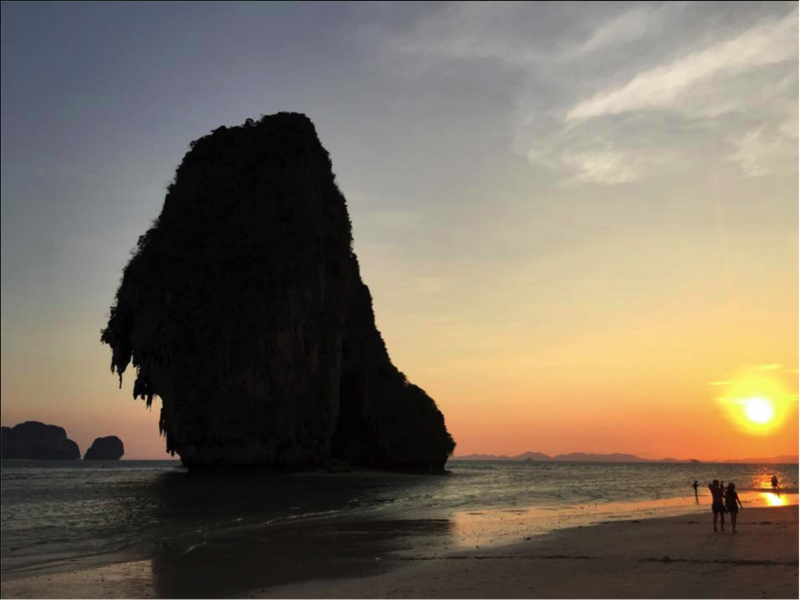 We saved sunset on Railay Beach for our last night in Thailand. Railay Beach Resort also had a sunset party complete with live music and a fire show. It was perfect for our last dinner on our favourite beach. This trip will be impossible to forget. 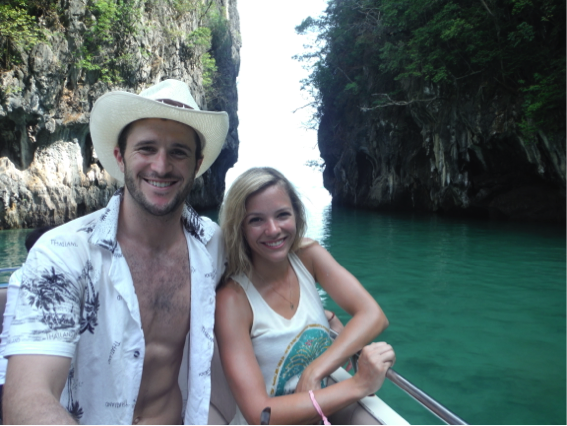 Thank you AdventureHoney and Scoot for letting us experience some of Thailand’s greatest treasures. This place has my heart! 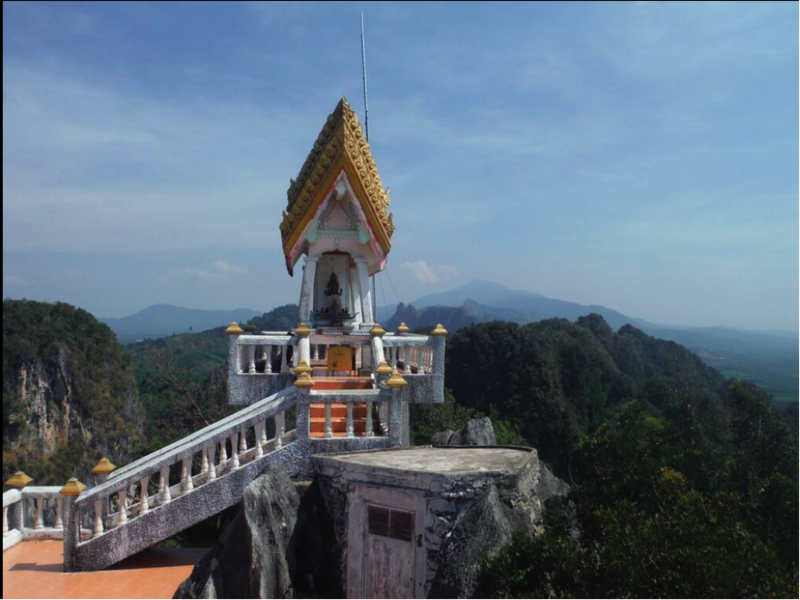 ← Win A Flight To Thailand! Awesome, sounds like you had a great time!